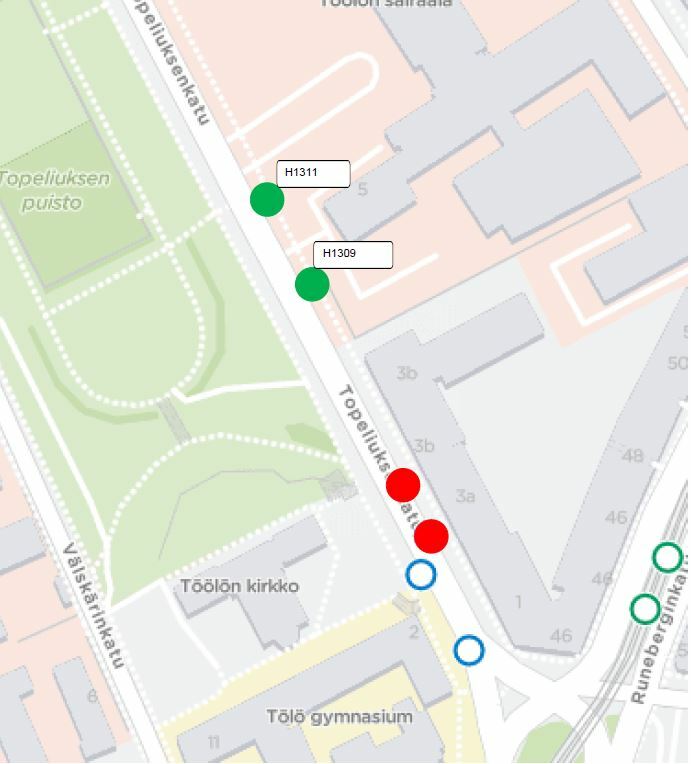 The "Töölöntori" bus stops (H1309 and H1311) on Topeliuksenkatu will be temporarily relocated some 100 meters northwards on Tuesday 2 April. The temporary location is next to Töölö Hospital. The relocation will affect routes 14, 18, 18N, 37, 39B, 39N, 41, 42, 69 and 551N. The stops are expected to remain in the temporary location until 17 September.